You’ve come to the right place. We are experts in the assessment and treatment of vertigo, concussion, BPPV and other dizziness disorders. Cornerstone’s highly regarded Dizziness Clinic, has been helping thousands of patients recover successfully since 2008. 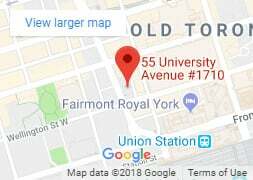 We are proud to be the clinic of choice for many hospitals, specialists (otolaryngologists and neurologists), medical practices, and other physiotherapists throughout the Greater Toronto Area. Our registered physiotherapists undergo extensive training and continuing education and are experienced in treating especially complex vestibular disorders. We have physiotherapists Certified in Vestibular Rehabilitation. We offer Vestibular Rehabilitation Therapy (VRT or VBRT) throughout Toronto. Click here for a list of our 3 convenient locations. 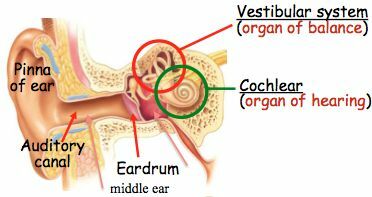 Your vestibular system and your eyes have a direct connection with each other. Problems with your vestibular system can result in changes to your eye reflexes, producing abnormal eye motion (called Nystagmus). Closely examining these nystagmus patterns of your eyes allows us to perform a more detailed assessment resulting in a more accurate diagnosis. Cornerstone Physiotherapy is one of only a very few centres providing research-based assessment and treatment services for vestibular disorders, using Infrared Goggle technology. Vertigo and dizziness symptoms most often area a result of a dysfunction of the vestibular organ, which is a small but important structure in your inner ear. The vestibular organ is critical for balance, coordination, and movement and when it’s impaired, patients can experience spinning (vertigo), dizziness, nausea, imbalance, problems with vision, and light-headedness, anxiety, among other often debilitating symptoms. Dizziness and vertigo are among the most common symptoms that send people to see doctors. After negative MRI and CT scans, patients are often prescribed medication that is of little help and sent to specialists, only to be told nothing can really be done. Dizziness Clinic appointments in hospitals currently have wait times of several months. At Cornerstone we’ve successfully treated vestibular disorders since 2007, helping hundreds of patients each year. We have vestibular physiotherapists certified through Emory University’s School of Medicine. While our assessment procedures and treatment protocols are generally similar to those in hospital programs, and are based upon clinical and medical evidence, our wait times are significantly shorter — which means you can get better, faster. Initial visits are one-hour, where we take a comprehensive history and perform a complete clinical assessment. Symptoms of dizziness can be from dozens of various pathologies, so special care is taken to rule out non-vestibular causes first. The physical assessment involves a series of manual and functional tests to categorize the type of dizziness you’re experiencing. 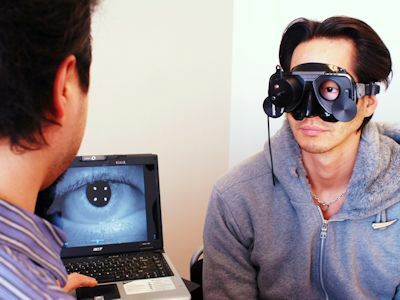 We then use special infrared goggle technology, which has been clinically demonstrated to be one of the most accurate ways to assess vestibular dysfunction. This involves recorded observation of irregular eye movement — which is physiologically linked to impaired vestibular function — and we create a treatment plan based on the results of the assessment. What does Vestibular Rehabilitation Therapy (VRT) involve? While treatment depends on our findings, it can involve education, manual therapy or head manoeuvres, a patient-specific exercise program, or a combination of these strategies. Certain types of vestibular disorders can resolve in 2-3 visits, whereas other types require more time and include a home exercise program. 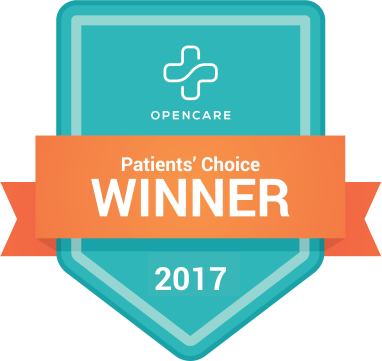 Our assessment and treatment protocols are based upon sound evidence-based research and clinically proven techniques, and are customized for each patient. What about the Epley manoeuvre? Approximately half of all patients we assess receive a diagnosis of BPPV (Benign Paroxysmal Positional Vertigo), which is caused by calcium carbonate crystal displacement in the inner ear. Certain types of BPPV can be successfully corrected using the Epley manoeuvre, which we perform often. However, BPPV exists in several different forms with each requiring different manoeuvres, determined by an accurate clinical assessment. We recommend if you perform your own Epley manoeuvre to do so with caution, as you can change a simple vestibular impairment into a more complicated one. See our post on the Epley as a home treatment. 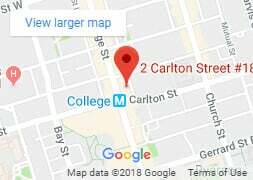 Please arrive 15 minutes ahead of your appointment to complete the necessary intake forms, and bring any relevant medical documents with you — MRI/CT scan reports, specialist reports, caloric and hearing tests, and any other appropriate papers. Our assessment includes a thorough examination of your vestibulo-ocular reflex, where we look for evidence of irregular eye movement. If you capture any of this irregular eye movement using your smart-phone at home, please bring the video as it can help with a more accurate assessment. We ask that you not smoke ONE HOUR prior to your appointment, as this may affect the quality of the assessment. If you’re currently on medications (including Gravol) to treat your dizziness, please continue taking it as prescribed by your doctor. The assessment procedures do reproduce your symptoms, so you will likely experience an increase in dizziness and/or nausea following your first visit. Most patients are able to drive, return to work, and function normally following the assessment. However, if your symptoms are already quite acute, or if you don’t feel comfortable having them provoked, you may wish to have someone accompany you to the appointment. Does insurance cover vestibular services? 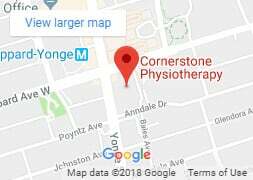 At Cornerstone Physiotherapy, registered physiotherapists perform our vestibular services. If you have extended health benefits for physiotherapy, your vestibular visits will be based on this coverage. 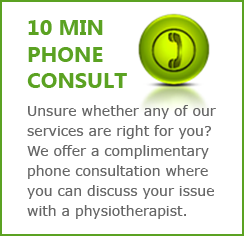 Take advantage of our 10 min complimentary phone consult at (416) 595-5353.